STAMP ART | You don’t have to be a philatelist to appreciate the latest series of stamps from the U.S. Postal Service. 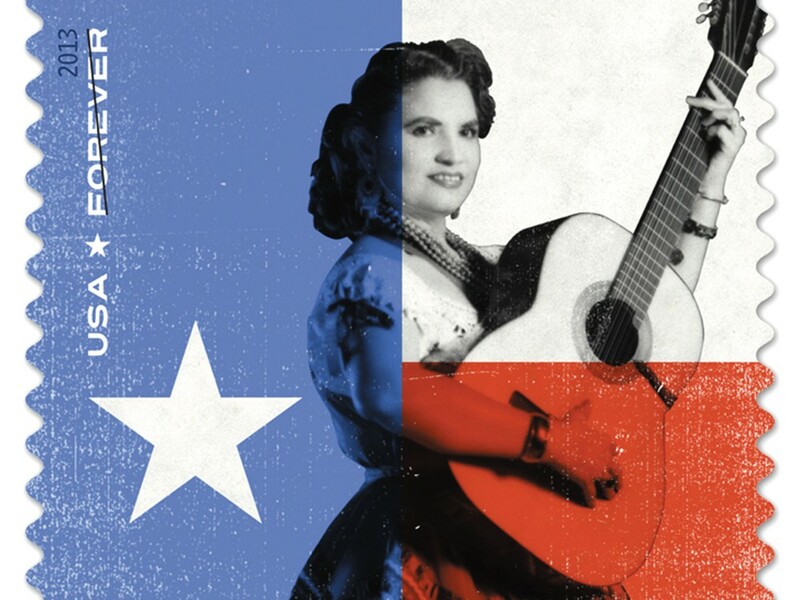 Check out Tejana star Lydia Mendoza and her 12-string guitar, strikingly bold against the red, white and blue of the Texas flag. The first in the Music Icons series that honors American music pioneers, the stamp was designed by Neal Ashby and Patrick Donohue, Grammy-nominated graphic designers (yes, there’s a packaging category) who specialize in visual design work for the music industry. The second in the series features the handsome, brooding face of Johnny Cash on an appropriately black background, and Ray Charles is next. INSTAGRAM | Some celebrities use Instagram to show how they’re just ordinary folks like us. Oh look, it’s Jessica Alba getting lunch from a food truck! Taylor Swift’s cute cat! And so forth. Singer-songwriter Chuck Ragan uses Instagram to show us that his life is just as amazing and outrageously American as we always imagined. He and his two rugged chocolate labs traverse a world of blue skies and scenic streams, where the fish are enormous and always biting. It’s like some fever dream cross between Hemingway and an Eddie Bauer catalogue, like America’s answer to Vladimir Putin posing shirtless while doing manly outdoors stuff. Nice try, Putin — this is how it’s done. BOOK | Back home in London to see her dying father, Alice is a twentysomething wanderer who finds comfort in looking up plane tickets on the Internet. Daniel, middle-aged and seeking his lost daughter, is homeless in a more literal way. These two narrate alternating chapters in the debut novel by British writer Sarah Butler, Ten Things I’ve Learnt About Love, and share a connection that drives the story. Enjoyment of this book depends heavily on whether you’ve been to London (I haven’t) and how you feel about descriptive scenes begging to become an indie film starring Ellen Page. But the themes of family and home keep resurfacing in my mind — it’s an inquisitive novel, and its pieces of symbolism fit together in intricate ways.